So I'm just catching my breath from a busy week prepping for a fabulous wedding. 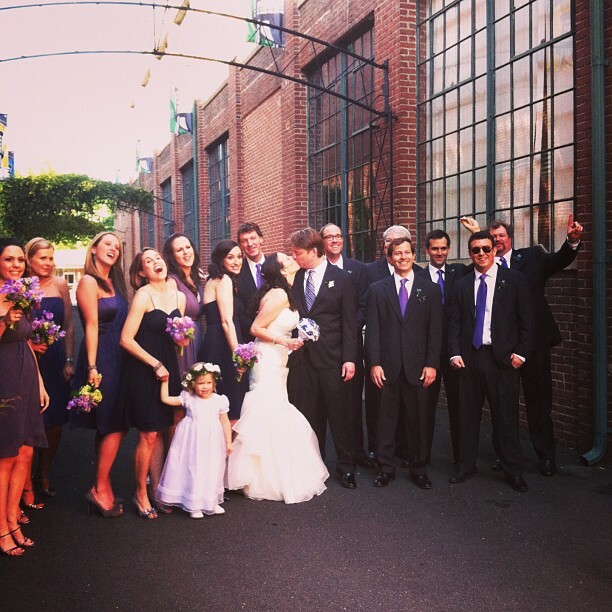 The wedding went smashingly and I will be blogging about it later this week. 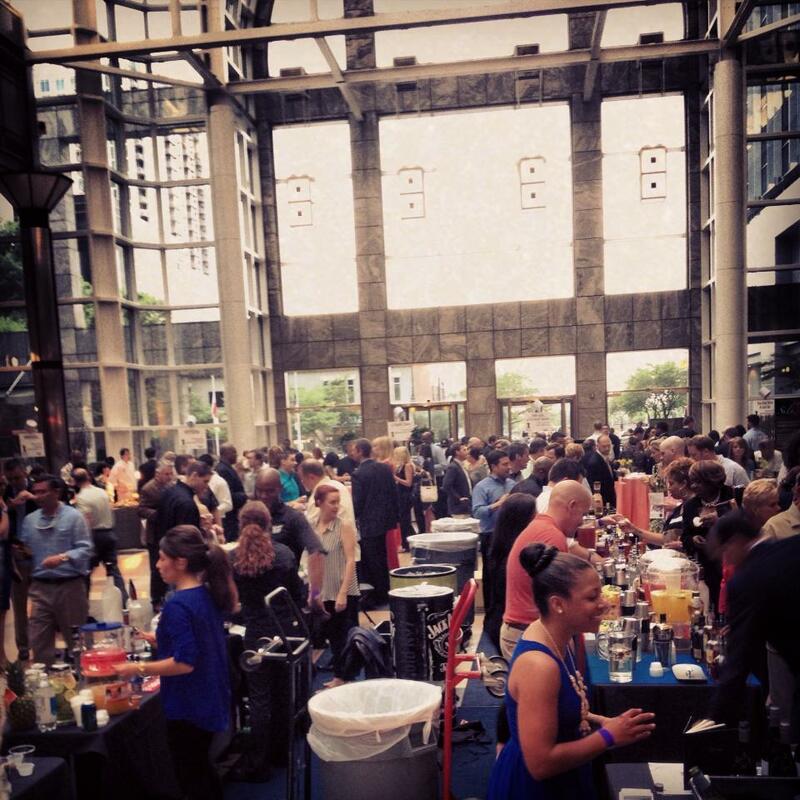 I did manage to sneak in a delicious night of eating and drinking the best of what the Charlotte food scene has to offer at Taste of the Nation Charlotte. 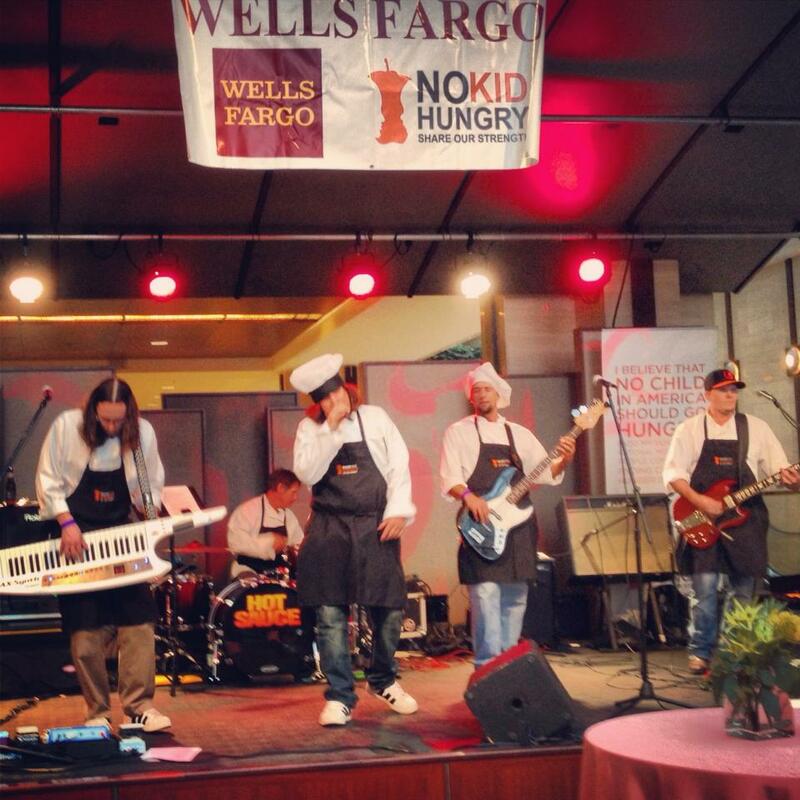 This large scale event (which is held all over the country) benefits the non-profit "Share Our Strength, No Kid Hungry." Sampling food and drink for a good cause? You know I'm in! 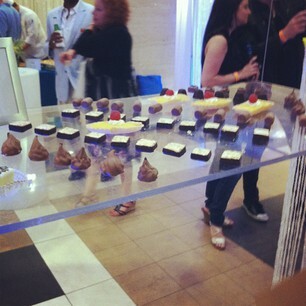 Frankly, I almost prefer little delicious samples of various types of food versus a big ol' meal. Then you can eat whatever you want and it's totes fine because they are just tiny samples that are basically calorie free. I'm not joking, I literally just kept saying "I'm so happy" the entire night. It was like a foodie dream come true. If this event comes to your city I highly recommend attending and eating your face off. Warning: Do not read this if you're hungry. Warning #2 - All these photos are via my trusty iPhone. First off, let me set the scene for you. Below are the happy people enjoying themselves on a Wednesday evening. Musical chefs set the soundtrack for our evening. I thought it was so cute the band members wore chef hats and aprons! 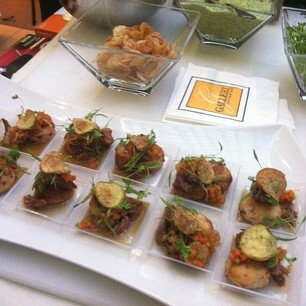 This bite is mini Osso Bucco from the Gallery Restaurant at Ballantyne Hotel and Lodge. Mr. Fo and I love this restaurant as we had our wedding at the Ballantyne and go back for our anniversary. You can read about our previous Ballantyne adventures HERE and HERE. 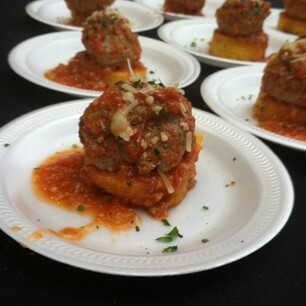 This MIGHT have been my favorite bite but I don't want to discount any other restaurants efforts...But seriously, a cheese-stuffed meatball on top of a polenta cake? My regret of the evening is that I didn't go back for another one of these...guess I didn't want to be "that girl." Anywho, this restaurant is new in town and I've been dying to try: Napa on Providence. I will be headed there immediately and will request this exact bite. Vivace is one of my favorite Charlotte restaurants not only because of their amazeballs ambiance and outdoor seating (plus complimentary valet-holla) but also their delicious modern Italian cuisine. We had Easter brunch at Vivace and let's just say my prosciutto Eggs Benedict did NOT disappoint. 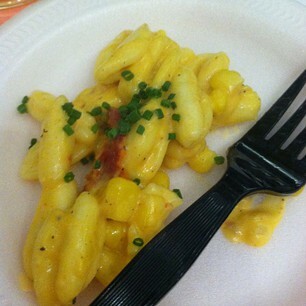 Neither did their sample of Sweet Corn Cavatappi pasta for Taste of the Nation. I so want to remember where this next bite comes from, but I can't! If anyone knows who provided this appetizer, do tell. A jalapeno corn cake was topped with bbq and coleslaw to make an uber flavorful bite. There were MANY more food options, but I probably ate them before I was able to take a photo, so let's move on to cocktails. There was a specialty cocktail station as soon as you walked in the door. 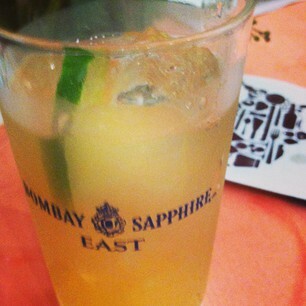 My favorite of the signature drinks was the Elderflower Gin made with Bombay East. I'm really not a gin gal, but the Elderflower Tea made it unforgettable...and I'm not joking...I really remember it. 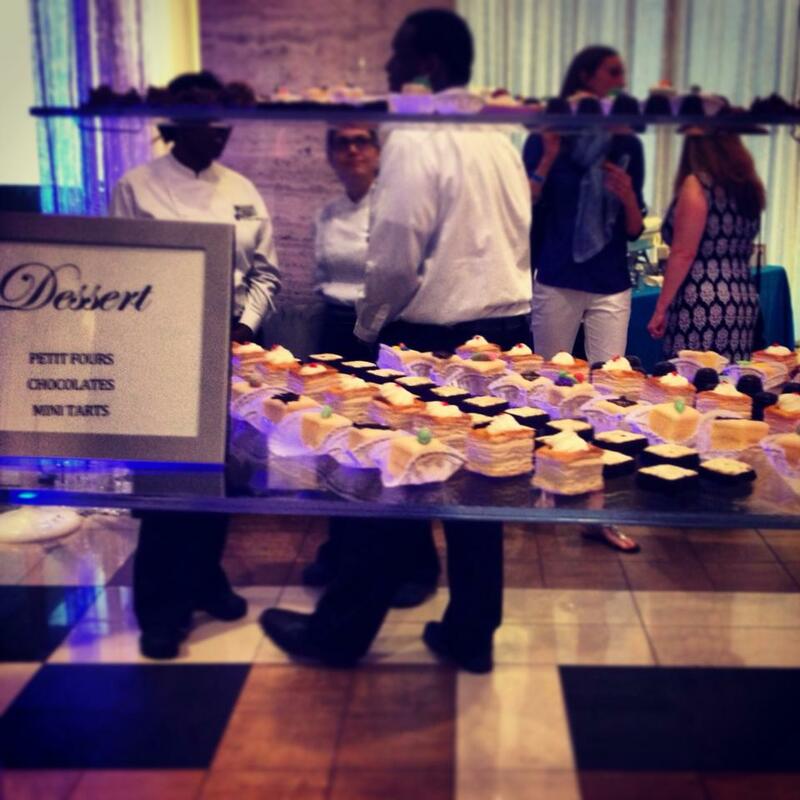 There was a variety of desserts, but my favorite were floating. Whaaaat am I talking about? Yes, they were literally on floating displays by Sterling by Design. The amazing chocolates were from Johnson and Wales.They were so amazing that I put a bunch in my purse to take home for Mr. Fo. I attended this event with my fab bride and groom turned friends, Mark and Allyson. You can see their lovely nuptials HERE. 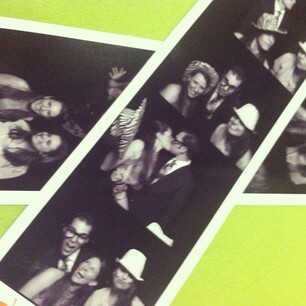 You know it's a good time when there's a photo booth involved. So hungry for Italian food now! Plus…how in the world did they do a mini ossobuco?! 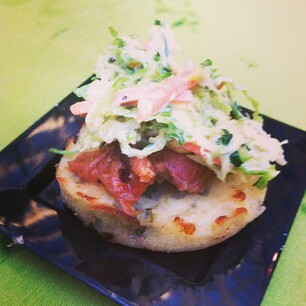 Thank you for visiting us at Taste of the Nation and for your kind words regarding our dish from Gallery Restaurant. We look forward to participating in the event every year. Hope to see you at The Ballantyne soon!